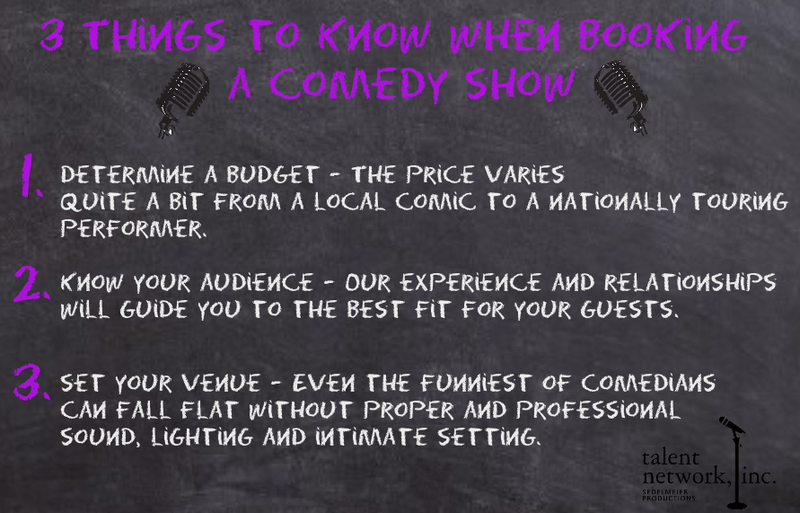 3 Things to Know When Booking a Comedy Show - talent network, inc.
Booking a Themed Show can be difficult- we can help! Do you have a favorite comedian that would be perfect for your next Corporate, Convention, College or Private Event? Here are 3 tips to help guide you in the right direction when looking to plan for a Comedy Show Event. Here at talent network, inc., we will stick with you for the entire process of party planning – we want to take the stress right off of your plate. talent network inc. provides entertainment including comedians, artists, casino themed party equipment and more for all private, corporate events, colleges and conventions across the country.